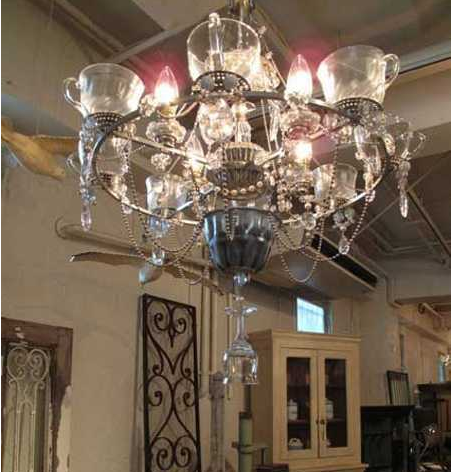 Recycling ideas that turn clutter into impressive and unique lighting fixtures look truly amazing. 10 unusual lighting designs prove that creativity is boundless. 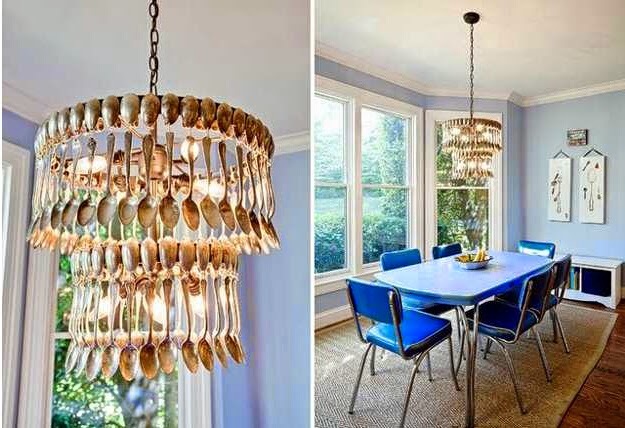 Metal and wooden spoons, folks and knives, combined with miss-matched porcelain cups can make stunning centerpieces which are also functional lighting fixtures. 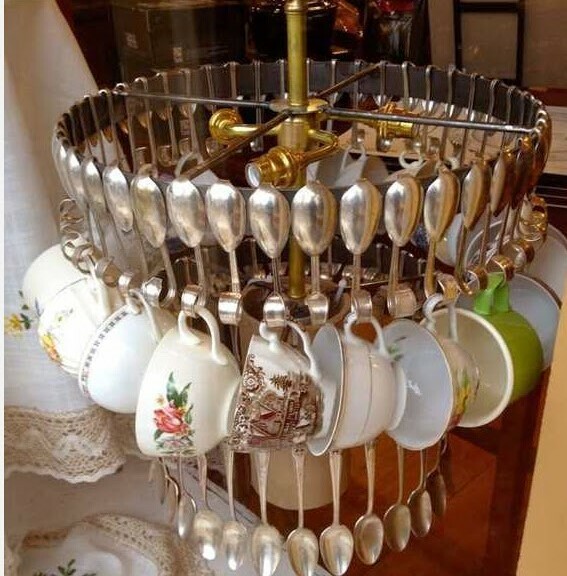 Creative and unusual lighting fixtures made with flatware, kitchen utensils, mugs and tea cups are an innovative alternative to lacking interest chandeliers and ceiling lights. 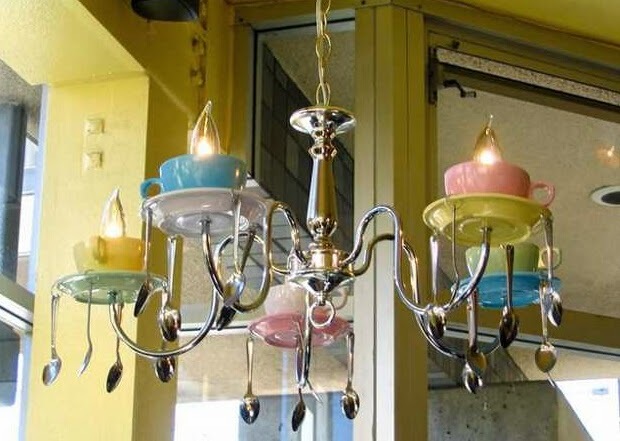 Handmade lighting ideas add personality to interior decorating while helping to declutter rooms and storage spaces. 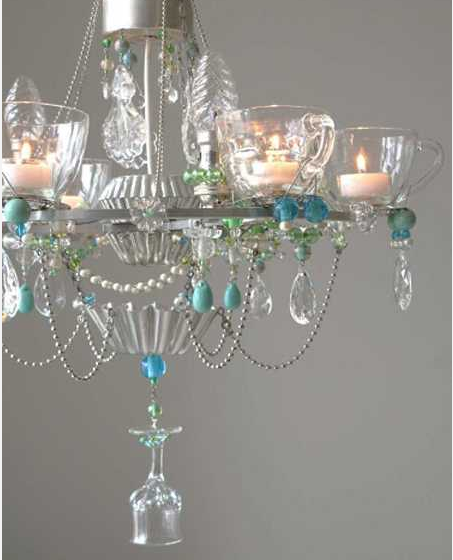 Uniquelighting fixtures, adorned with layers of spoons, folks, knives and tea cups look striking. Easy to make decorations, these lighting fixtures dramatically transform interior design and create surprising, eye-catching and very artistic centerpieces.